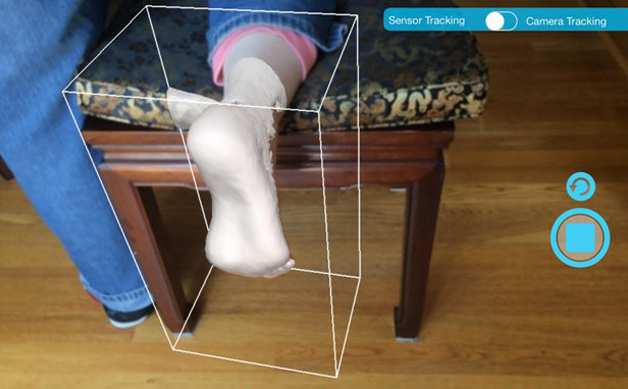 Foot scanning technology has been around for over twenty years. Starting with big boxy machines that were cumbersome and not easy to maneuvre, the latest scanners will fit into a lab coat pocket and can be easily transported between rooms or even office locations. 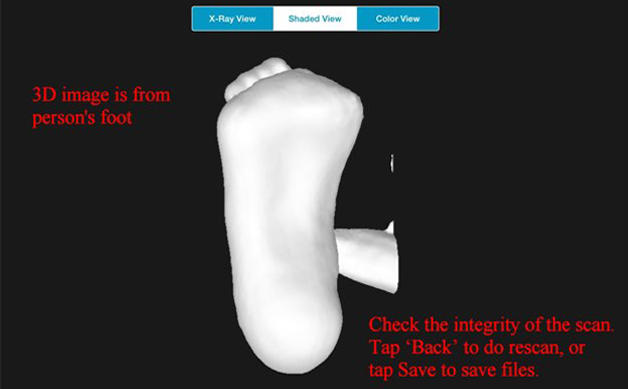 The scanning system we support is based upon Dr. Alex Shang’s AOMS, or Automated Orthotic Manufacturing System, the foot orthotic industry’s oldest and premier design and manufacturing program. AOMS TOT, the latest in handheld foot scanner technology, ties in seamlessly with the AOMS manufacturing program to produce enhanced clinical outcomes based upon biomechanically accurate corrections. AOMS TOT consists of an iPad mini notebook, a Structure Sensor scanner, and an AOMS TOT app from the Apple App Store, all for less than $800. 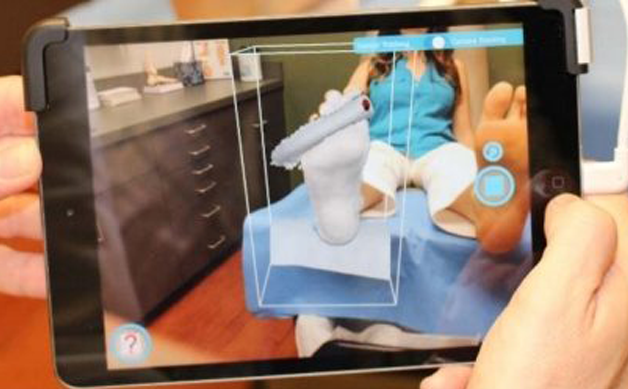 The scanner takes a real-time 3 dimensional image of the foot, and converts it to a “plaster” likeness to show you how much of the foot has been successfully scanned. The process takes no more than 30 seconds. Besides the accuracy, portability and reliability of this system, there is NO USER or PER CLICK FEE. Your office stays clean, there are no costly plumbing bills for drain cleaning, and e-mailing of scans and prescriptions produces savings for everyone. Click on the following link to learn more about AOMS TOT, and to view several tutorials: http://www.sharpshape.com/aomstot.html.